We have gained huge repute by offering highly effective Steel Fabrication Services. Our offered fabrication services are acclaimed widely for the assured accuracy and precision. We are leveraging the advanced CNC based cutting, drilling, forming, bending and finishing techniques to fabricate client specific designs from stainless steel metal. The offered services are rendered by trained professionals under strict quality supervision and our prestigious clients can avail benefits of our professionalism at a competitive price. Gajjar Industries is a true turnkey supplier that can take your project from raw materials to finished assemblies that are plated and ready for assembly. We will help you design and tweak your component designs, material selections and assemblies to employ unique and precision Bassett processes such as laser tube cutting, roll bending, CNC machining, precision welding, end forming and sheet metal fabrication to optimize the fabrication and assembly process. The result is lower-cost, quick-turnaround, high quality and repeatable "ready for assembly" components, weldments, and assemblies for feeding your manufacturing and assembly processes in a timely manner. Features Bassett is a true turnkey supplier that can take your project from raw materials to finished assemblies that are plated and ready for assembly. 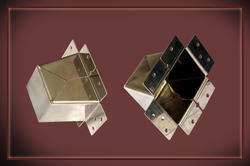 We Offer A Wide Range Of Sheet Metal Custom Parts As Per The Customised Requirements And Specifications. 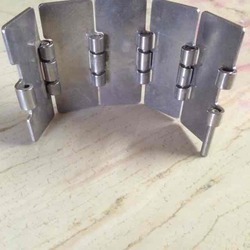 All Sheet Metal Parts By Cnc Laser Cutting And Precision Fabrication For All Engineering Needs From Quality To Volume Quantities As Per Your Specifications And Requirements In Mild Steel / Stainless Steel / Brass / Aluminum Or Any Metal. Joint Venture For Manufacturing Metal Fabrications For Export Are Welcome. We Offer Economical Rate For Laser Cutting, Cnc Bending And Metal Fabrication Work In Volume Business Long Term Tie Up. 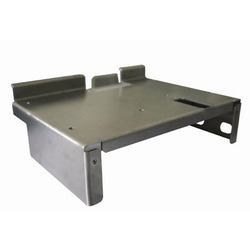 We are engaged in fabricating quality industrial sheet metal components and turned components with the best grade raw material using the latest technology. 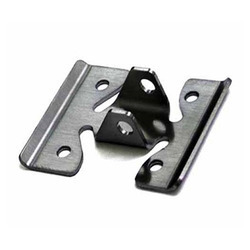 We make use of sheet metal, mild steel, stainless steel, and aluminum as a raw material in manufacturing our products. Owing to the high-quality standards, our products are widely demanded in various industries like engineering, automobile, and R & D Industries. Our clients can avail from us a wide gamut of a premium range of Sheet Metal Products. Before final dispatch, our offered metal products are rigorously inspected on certain quality parameters Additionally, our offered metal products are available in all sizes and shapes to fetch maximum satisfactions for our clients.